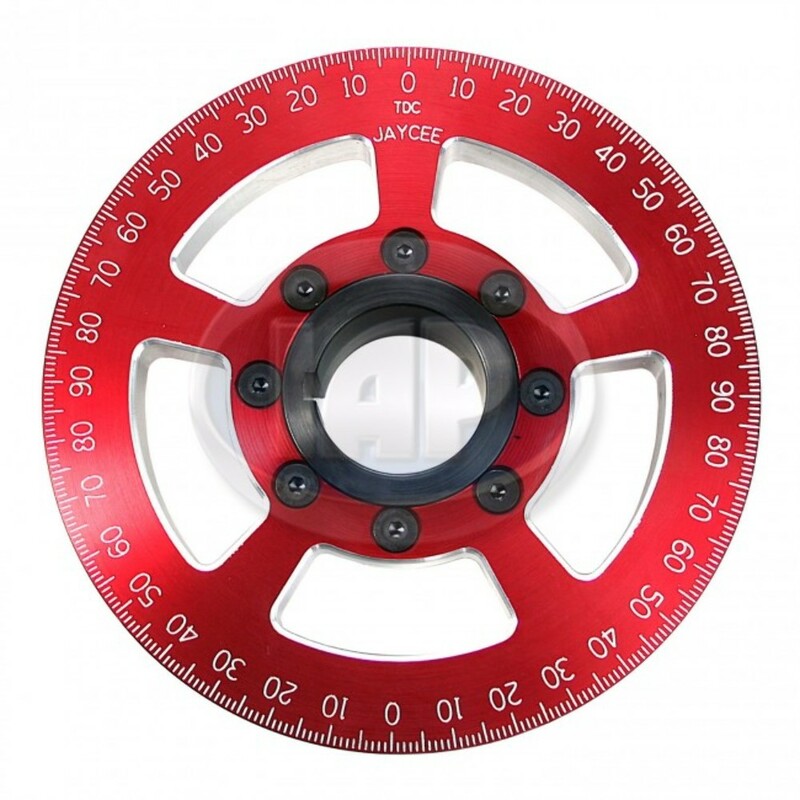 Jaycee's two-piece billet street 6" Power Pulley is made of 6061 T-6 aluminum and bolts to a steel hub to insure strength. The machining process includes the stock style thread to eliminate crank case blow by. The belt groove was matched to the stock offset for proper alignment. After anodizing, the pulleys are re machined the 360 degrees of timing marks to eliminate the old style stickers. The two pieces are mated together buy 8 countersunk allens to cap off the quality look. Made in the U.S.A.
Two - piece billet 6" street car pulley. The two pieces are held together by 8 allen screws.